Chiari malformation syndrome occurs when a portion of the cerebellum and brainstem are pulled or twisted down into the opening at the base of the skull called the foramen magnum. There are several grades of Chiari malformation however the bottom line is to what degree does the cerebellum and/or brain stem get mashed through the foramen magnum into the upper cervical spinal column as this would determine the classification of Chiari malformation. The exception being type 4 Chiari malformation being a very rare genetic disorder. According to the national institute of neurological disorders many people have a Chiari Malformation but do not have any symptoms (ref 1). So the question then becomes what triggers the symptoms? 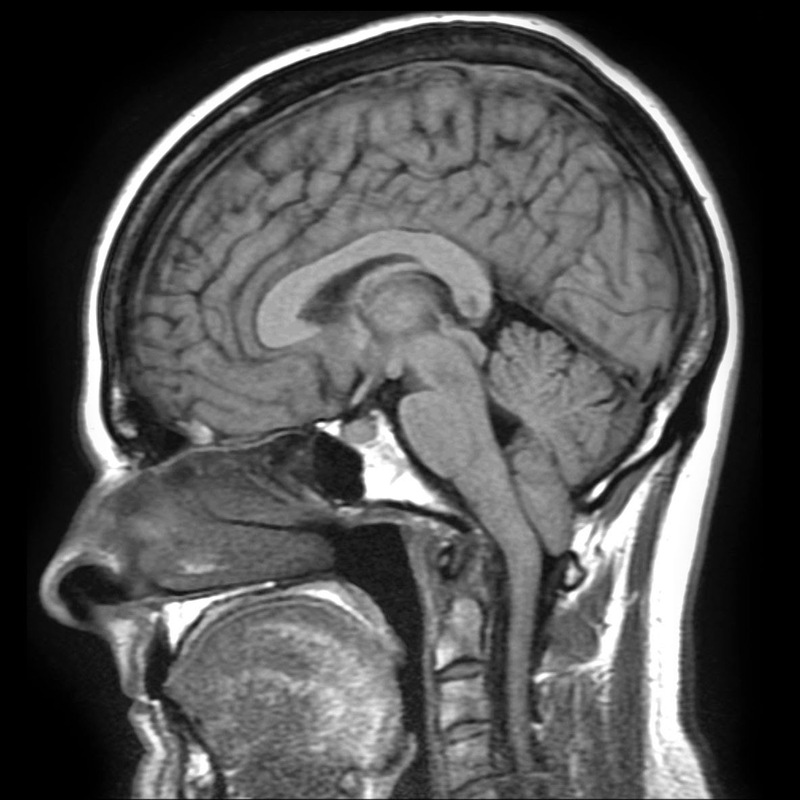 The most commonly missed clue is the fact that most MRI units that would be used to diagnose this condition are recumbent machines in that you must lay down, face up (supine) and when you lay down the cerebellum and/or brain stem will very likely slide back into the skull and the imaging radiologist will completely miss the problem. When we look at the most common symptoms of Chiari malformation syndrome and how they match up to brain stem and upper cervical spinal structures it is apparent how they overlap. For example the symptoms of neck pain and headache are very common and most frequently occur due to spinal misalignment in the upper neck creating spinal compensations in the lower neck and the spinal column below to produce neck pain and back pain. In addition a spinal misalignment in the upper neck can also interfere with how blood and cerebrospinal fluid (CSF) circulate in and out of the head to produce headache symptoms or we could say superior brain congestion and inferior body compensation. Often the 8th cranial nerve is being mashed into the foramen magnum and the upper cervical spine. This finding is significant as the 8th cranial nerve is what controls hearing and balance. The apparent relationship of brainstem structures to upper cervical spinal structures is quite remarkable. Is it possible there is a relationship to upper cervical spinal injury and the development of Chiari malformation symptoms? What about Nausea? This can occur with irritation to cranial nerves 9 and 10. The close proximity of these cranial nerves that match up for a cause and effect situation etc. Please also keep in mind the exact placement of these cranial nerve structures can vary as well. As a general rule things seen in an anatomy textbook only occur 30% of the time which means 70% of the time people will have some variation from what is considered textbook anatomy. The bottom line is that any portion of the nervous system that is under tension or compressed in any way will result in some form of dysfunction! So what is it that triggers Chiari malformation symptoms? If you read the description of the different classifications of Chiari malformation (ref 1) keeping in mind that connective tissue has been torn loose for these structures to move like this. Often the connective tissues of the Chiari patient have been torn loose allowing the brain stem and cerebellum to be pulled down into the foramen magnum and the upper cervical spinal column when the patient is upright in the field of gravity. As an example it is known that there are over 83 different variations of how the blood flows in and out of the head. It is common knowledge that whatever structures in the body don't get enough blood, will not function properly. It is also common knowledge that a small amount of pressure or irritation to the brain stem or spinal cord can cause neurological dysfunction.